Is your website doing the best possible job it can at converting visitors into customers? To answer this question, you need to run some tests. 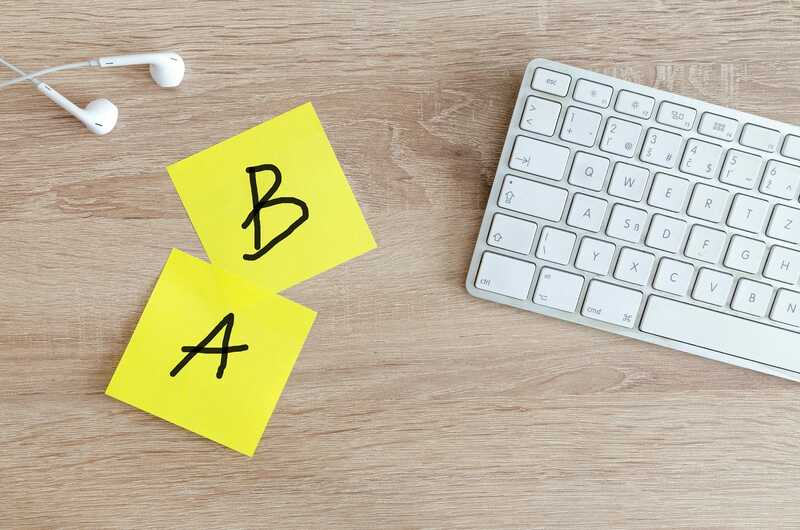 Understanding how to do A/B and multivariate testing can help you optimise your site — Because it’s really not possible to do too much testing. What is A/B Testing? And What About Multivariate Testing? In A/B testing, you create two versions of one page of your website, then compare the traffic and conversions that each version attracts. As you track the responses to and interactions with the two versions, you can determine which elements are working best. You can run A/B testing (also known as split testing) with any element on your page: The size of a button. The colour of the same button. A landing page headline. The wording of a call to action. Multivariate testing lets you test more than one element change at a time. You might create four versions of a page, each with a different colour or size chosen for the “Buy” button. Gathering data on users’ reactions lets you know which choice is more effective. What Can You Learn From A/B and Multivariate Testing? A/B and multivariate testing are both extremely valuable tools that provide you with different kinds of answers about your website. Use A/B testing to test more drastic changes to your site. Because analytics are more direct with A/B testing, you can get results quickly, letting you stay nimble as you make changes to draw in and convert more users. Multivariate testing is a great choice when you’re testing the effect of small changes to a page. Since analysis is more complex, it can take more time. Because of this, many analysts prefer to start with A/B testing to make big decisions quickly, then hone and refine smaller choices with multivariate testing. The most obvious benefit of testing, whether of the A/B or multivariate variety, is that you get data you can use to keep optimising your site and pulling in new customers. By doing this, you keep your brand competitive in a world in which everyone else is running every possible test to optimise their sites. But testing has many other less obvious benefits. When you keep running tests, you can experiment with ideas that might get stopped at the whiteboard stage. Some of those ideas may turn out to be gold mines — and you’ll know which ones are (and which ones to drop) right away. Testing also benefits your work force because it creates a truly level playing field. When a senior exec suggests an idea, it doesn’t have to become an immutable reality automatically if you’ve established a culture of testing in your company. You simply add that idea to the list to be tested. As a result, every employee gets a motivation boost and realises that their ideas stand a chance to be recognised and to contribute to the growth of your brand — and your bottom line.